Eternal Orthodox Church calendar for the 22.09 year 2017. 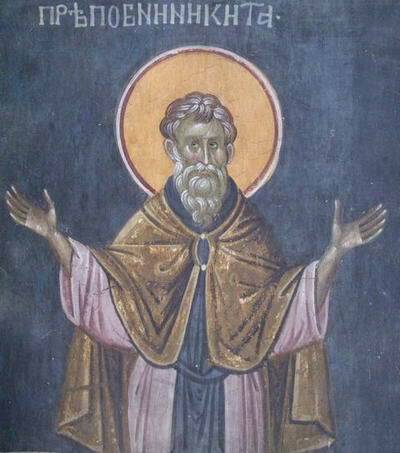 St Joachim was of the tribe of Judah, and a descendant of King David. Anna was the daughter of Matthan the priest, of the tribe of Levi as was Aaron the High Priest. 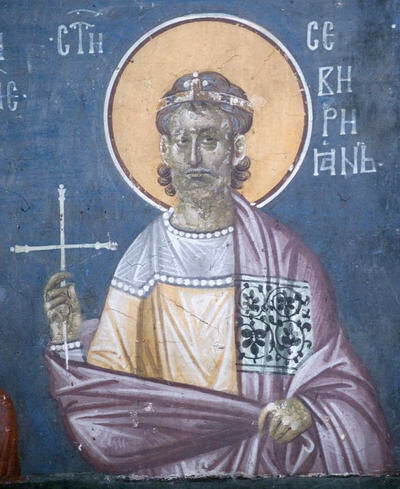 This Matthan had three daughters: Mary, Zoia and Anna. Mary was married in Bethlehem and bore Salome; Zoia was also married in Bethlehem and bore Elisabeth, the mother of St John the Forerunner; and Anna was married in Nazareth to Joachim, and in old age gave birth to Mary, the most holy Mother of God. Joachim and Anna had been married for fifty years, and were barren. They lived devoutly and quietly, using only a third of their income for themselves and giving a third to the poor and a third to the Temple, and they were well provided for. Once, when they were already old and were in Jerusalem to offer sacrifice to God, the High Priest, Issachar, upbraided Joachim: "You are not worthy to offer sacrifice with those childless hands." Others who had children jostled Joachim, thrusting him back as unworthy. This caused great grief to the two aged souls, and they went home with very heavy hearts. Then the two of them gave themselves to prayer to God that He would work in them the wonder that He had worked in Abraham and Sarah, and give them a child to comfort their old age. God sent them His angel, who gave them tidings of the birth of "a daughter most blessed, by whom all the nations of the earth will be blessed, and through whom will come the salvation of the world." Anna conceived at once, and in the ninth month gave birth to the holy Virgin Mary. 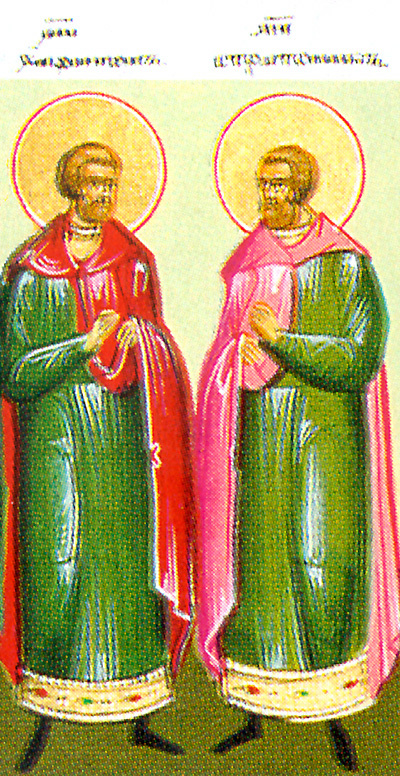 St Joachim lived for eighty years and Anna for seventy-nine, and they both entered into the kingdom of God. This Council met in 431 in Ephesus, in the time of the Emperor Theodosius the Younger. Two hundred fathers gathered at it. 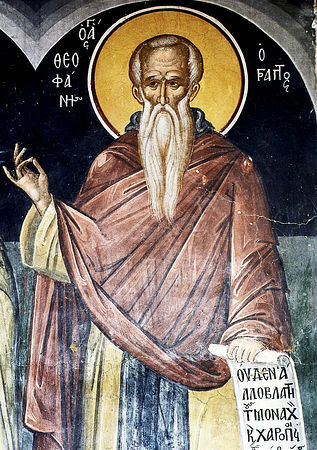 The Council condemned Nestorius, Patriarch of Constantinople, for his heretical teaching on the most holy Virgin Mary and the birth of the Lord. Nestorius would not call the holy Virgin the Mother of God, but only the Mother of Christ. 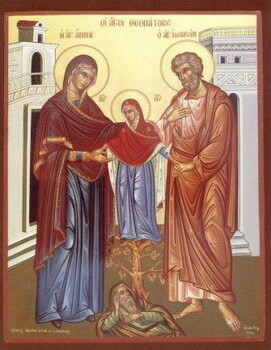 The holy fathers, in condemning Nestorius"s teaching, confirmed that the holy Virgin be called the Mother of God. 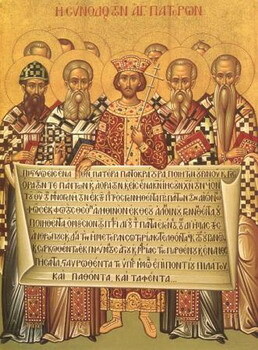 Besides this, it confirmed the decisions of the First and Second Councils, especially the Nicene-Constantinopolitan Creed, laying down that no-one may add anything to, or take anything from, this Creed. 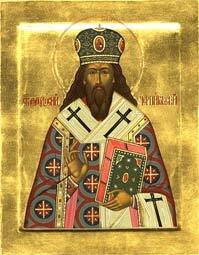 He lived in Constantinople in the twelfth century. His life was so pleasing to God that the doors of the church opened of themselves before him, and the icon-lamps lit spontaneously. At the desire of Sozon, a deacon, and at Nicetas"s prayers, a priest with whom Sozon had quarrelled and with whom he remained estranged, appeared from the other world. There appeared first a row of priests robed in white, then a row in red vestments. Sozon recognised his adversary among them, and made his peace with him. This happened at night in the church at Blachernae. 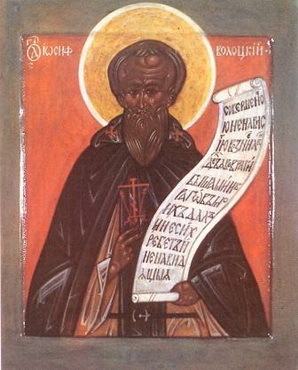 The Venerable Joachim, founder and abbot of the now abolished Opochka St. Elias Monastery 20 versts (about 13 miles) from the city of Porkhov (Pskov Government). He was tonsured at the end of the 16th and the beginning of the 17th century. His relics repose under the porch of the church of his abolished monastery.